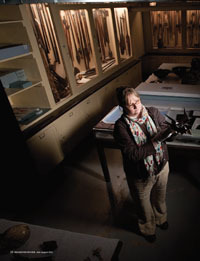 PIECE WORK: Kathryn Leacock, curator of collections at the Buffalo Museum of Science, examines a carved frigatebird from the P. G. T. Black Collection, a 6,200-piece trove purchased by the museum in 1938. 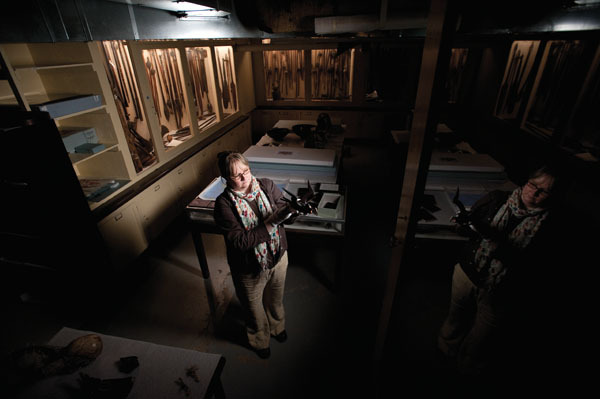 (Photo: Adam Fenster) More . . .